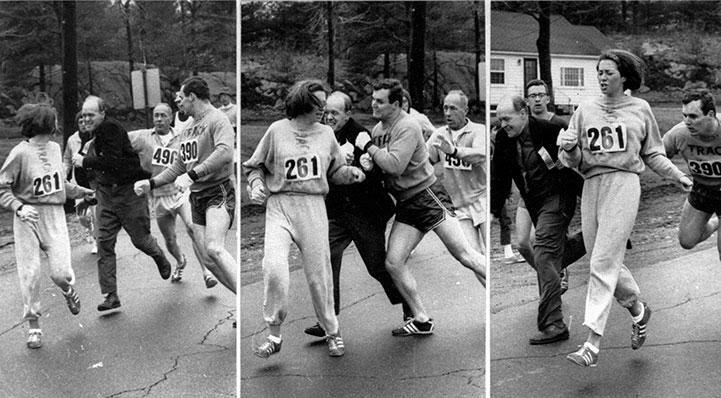 Kathrine Switzer is attacked during her run in the 1967 Boston Marathon. She was the first woman to run the marathon. It was amazing, the empowerment, the self-esteem and sense-of-self that I got from this. And it translated to every area of my life. Switzer said that it is her life’s mission to share that with other young women. She is in St. Louis today to give a speech at Maryville University on behalf of Girls on the Run St. Louis. The organization is a non-profit for girls in grades 3-8 with a mission to inspire them to be empowered and confident, while using a running curriculum. Since 2002, 35,000 girls have been served in the St. Louis area. Kathrine Switzer and Courtney Berg. Courtney Berg, the executive director of Girls on the Run St. Louis, also joined Switzer on “St. Louis on the Air.” She said that 2500 girls are participating in the program this season from eastern Missouri and western Illinois. At the end of 10 weeks of training, the girls participating in the program joined in a 5K in downtown St. Louis. Switzer said that running is different for women and different from other sports, in terms of empowering women. She said that men find it an enlightening experience, although a competitive one, whereas women find it a community empowering experience. There's a reason why today, 58 percent of runners in the United States are now women. Switzer, it should be noted, campaigned so that women could officially compete in the Boston Marathon after she was attacked for her participation. The women’s road race was created in 1972. She also went on to run 39 marathons and won the New York City Marathon in 1974. She was inducted into the U.S.A. National Women’s Hall of Fame last year. 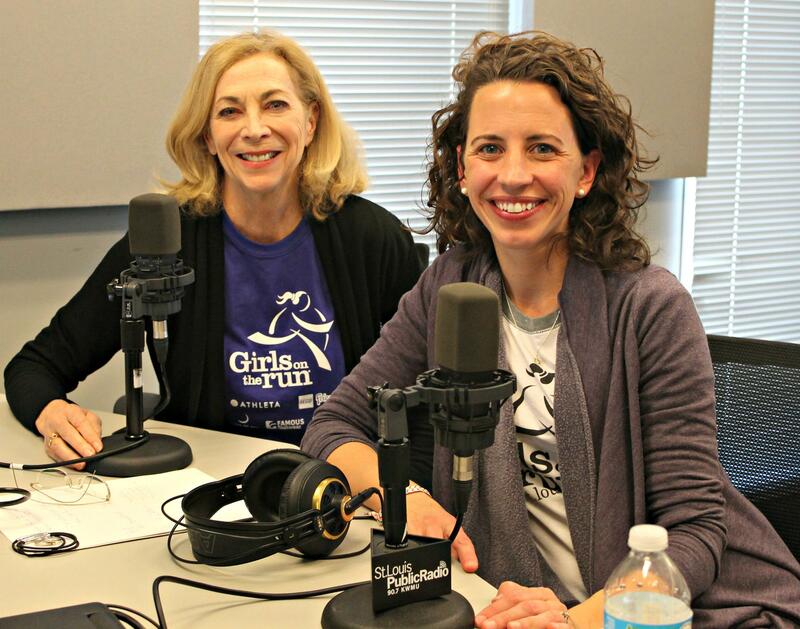 Kathrine Switzer and Courtney Berg join "St. Louis on the Air" host Don Marsh to discuss women's empowerment through running. When: Monday, Oct. 19 at 7:00 p.m.
At next weekend’s Go! marathon, Rae Mohrmann will run in her 100th marathon. Mohrmann, of Ferguson, started running competitively when she was a 30-year-old mother. “I needed another goal,” she told “St. Louis on the Air” host Don Marsh on Thursday. But Mohrmann didn’t run in a marathon until she was 49. She’s now a 67-year-old grandmother, and has run marathons in all 50 states.